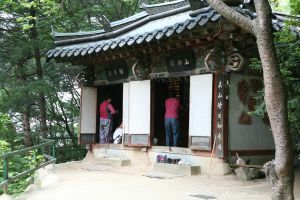 Songgwangsa Temple is one of Korea’s Three Jewel Temples of Buddhism, along with Tongdosa and Haeinsa. All of them are important religious sites. The three temples symbolize the three key tenets of Buddhism. Songgwangsa represents the Buddhist community or sangha, Tongdosa represents Buddha, and Haeinsa represents dharma or Buddhist teachings. 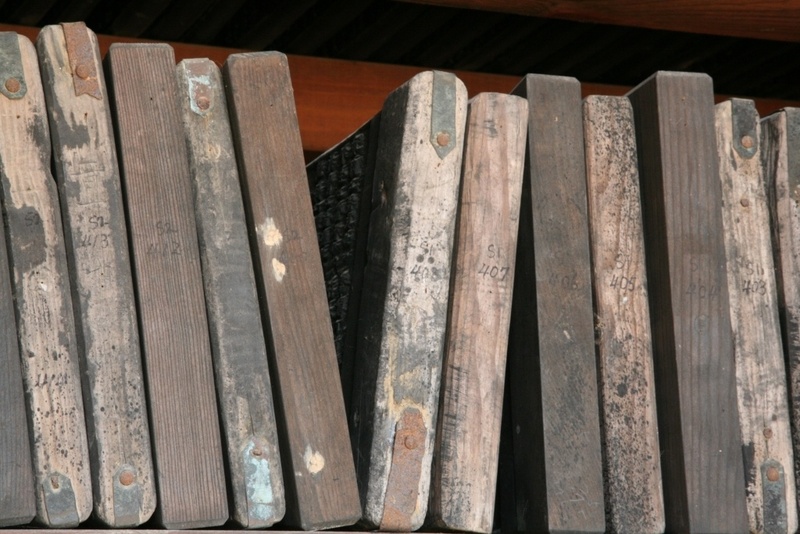 These are immortalized in their library of UNESCO World Heritage Tripitaka Koreana, on a collection of woodblocks. Songgwangsa temple is considered the greatest of the three temples and was founded in 1190 by a zen master whose teachings have been carried into modern Korean life. 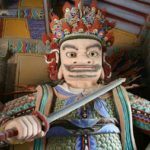 Living or traveling around Korea can feel hectic or chaotic. There is a lot of noise, traffic, and people, but taking the time to walk around one of the many Buddhist temples sprinkled around the country does bring some zen and peace to your day. In the spring, the temples are especially beautiful with the greenery and blooming flowers, but the best time to visit is on Buddha’s birthday. The temples I visited during this time always had celebrations with lots of pilgrims, 108 prostrations, and even a pop concert or two. They often will serve a temple lunch, which is vegetarian, or you can go downtown and have some Shabu Shabu or grilled duck. Both I would highly recommend. Either way, a stroll through the temples is relaxing. 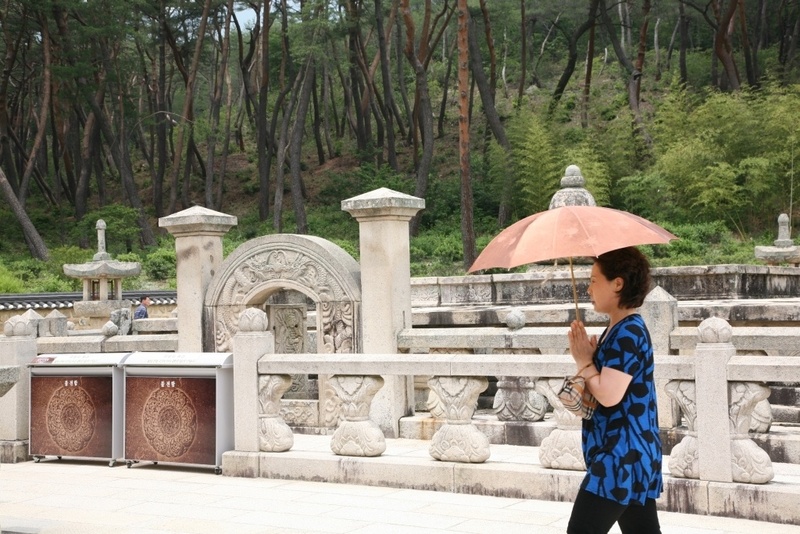 Have you been to any of Korea’s Buddhist Temples? 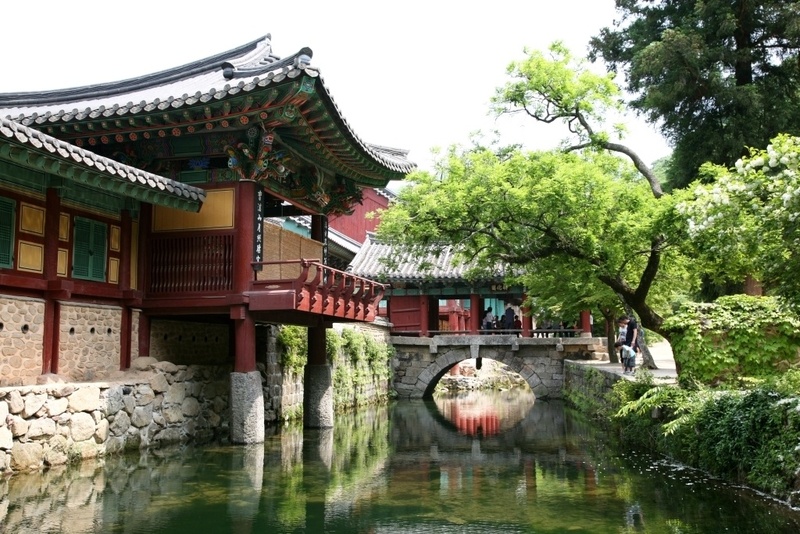 Have you been to one of the three jewels of Korean Buddhism? Comment below to tell us about it.